Much to his own surprise, Hannes Baur from the Natural History Museum Bern not only reports on whole two new parasitoid wasps at the heart of Europe, the Swiss Alps and Swiss Central Plateau. While the common discovery usually involves cryptic, or "camouflaging" within their groups species, his stand out. Baur's work is published in the open-access journal ZooKeys. The insects he describes are visibly quite unique with their body structures. In the case of the Pteromalus briani wasp, its extraordinarily protruding hind legs differentiate it among the whole family. Meanwhile, the P. janstai wasp amazes with its unusually depressed middle part of the body. The hind legs of the P. briani wasp species are described to be abruptly expanded unlike any other known species. The author points out that mere expansion has been observed in other representatives of the same family, but adds that "here they look quite different." In addition, while in the rest of the cases the peculiarity is said to be due to courtship purposes because of its availability only with males, in the new species it is observed in both sexes. Therefore, Baur suggests that a scanning electron microscopy and histological sections of fresh material are the only way for the function of the character to be determined. 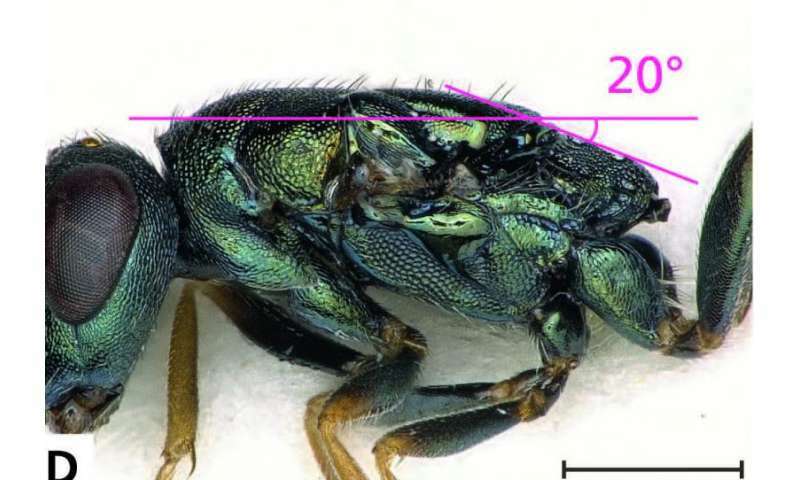 The second new species, the P. janstai wasp possesses an unusually flattened middle section of its body, which purpose is also yet to be figured out. 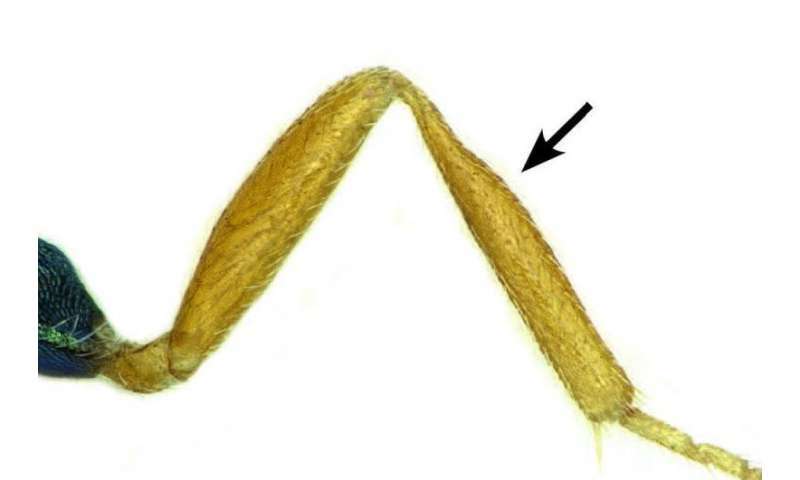 The trait has been noticed before among species from unrelated genera, but its function could vary between the separate groups. A possible reason behind it is suggested to be the specificity of the parasite's host. The author, however, is certain that the two new wasp species belong to the Pteromalus genus of parasitoids. "The two records demonstrate that it is possible to discover entirely new species with extraordinary characters even in one of the most thoroughly explored taxonomically parts of the world," concludes the scientist.